The Kilcreene electric riser recliner is a practical and comfortable recliner. 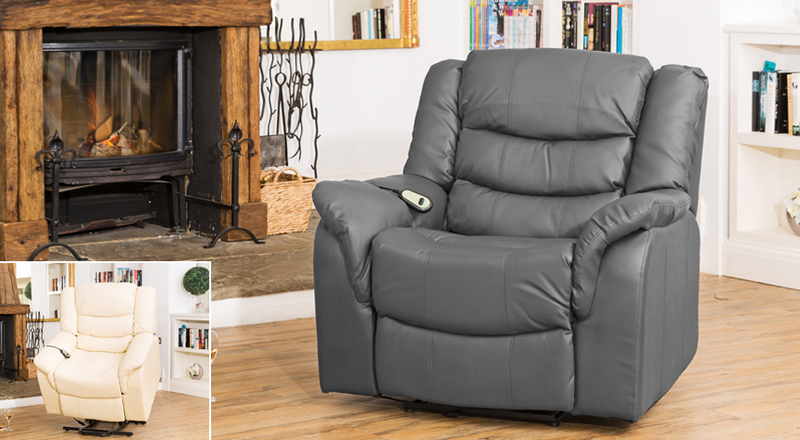 With its built in electric motor this recliner can be at both full and partial positions and features a riser function to aid with standing up, as well as the ultimate in relaxation, a heated massage function. Covered in bonded leather, and the sides covered in faux leather means that this recliner is both durable and comfortable. This chair is a match for the Kilcreene suite, which has a manual recline function. All products are tested to UK safety standards.